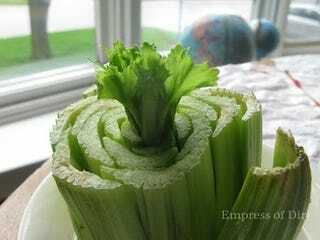 All you have to do is save the bottom of a stalk of celery, soak it in water for a week, then plant it. Voila - regenerating celery. The same thing can apparently be done with onions, lettuce, and other vegetables.